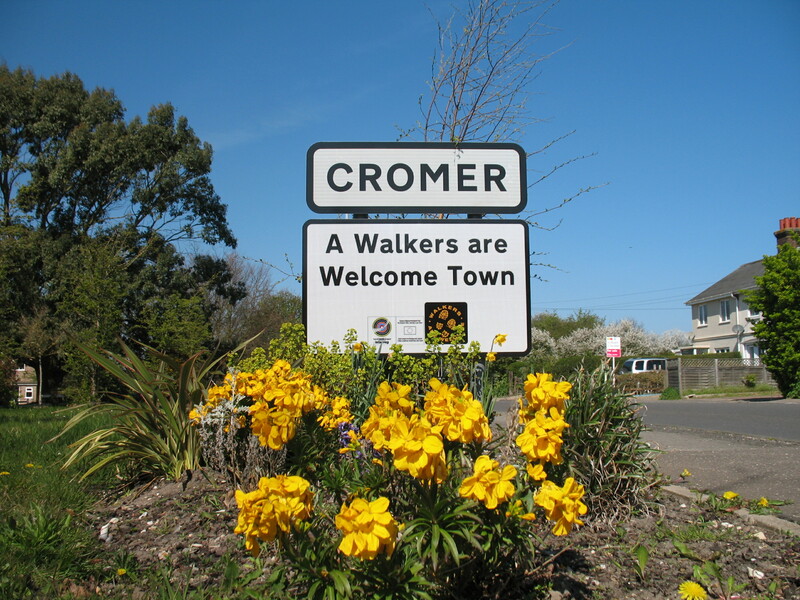 Spring is Sprung and Cromer Walkers are Welcome Group are gearing up for a busy and successful season. Our Town Signs are now up, and exciting much local interest. 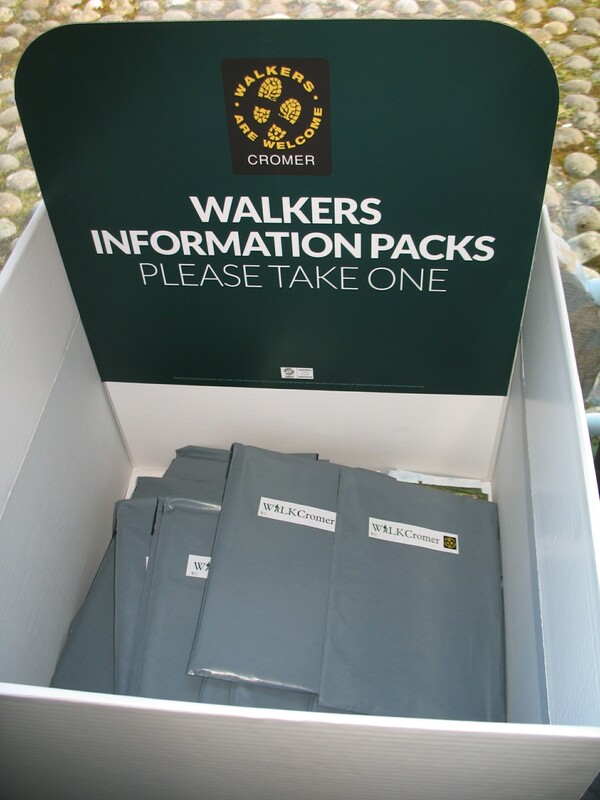 Linking with our local Tourist Information Centre, we’ve now erected our banner and display unit with Walkers are Welcome information packs. 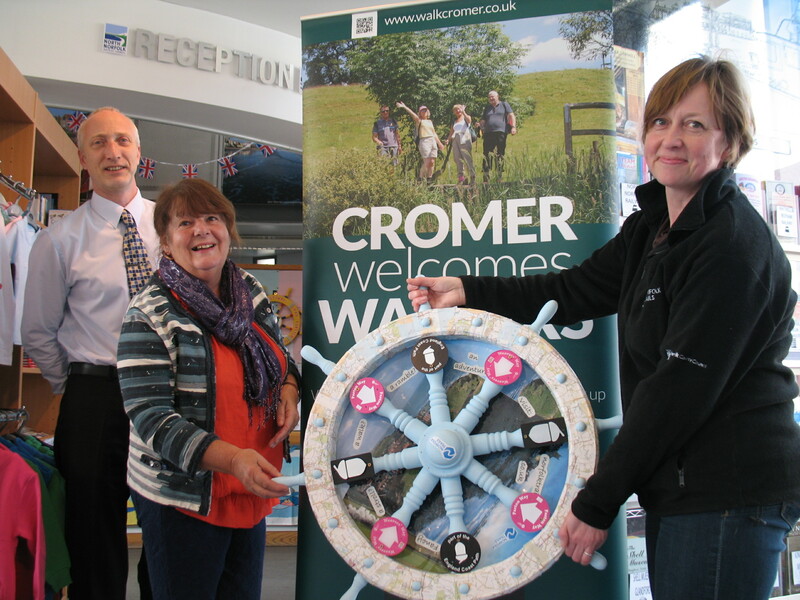 Norfolk Trails have also added their Wonderful Wheel – part of the Crab & Lobster Festival Art & Seafood Trail which runs from April till the end of August. 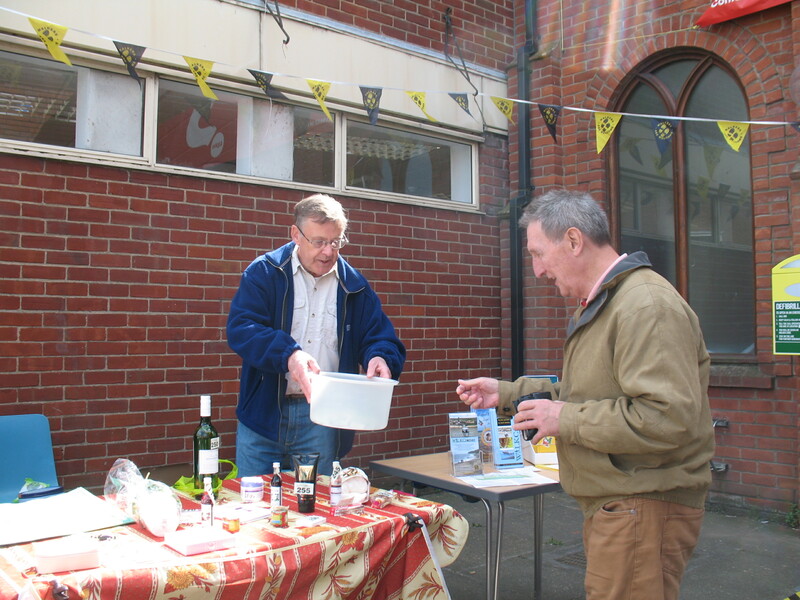 Our Information Day and Tombola Event were an excellent way of “spreading the word”. 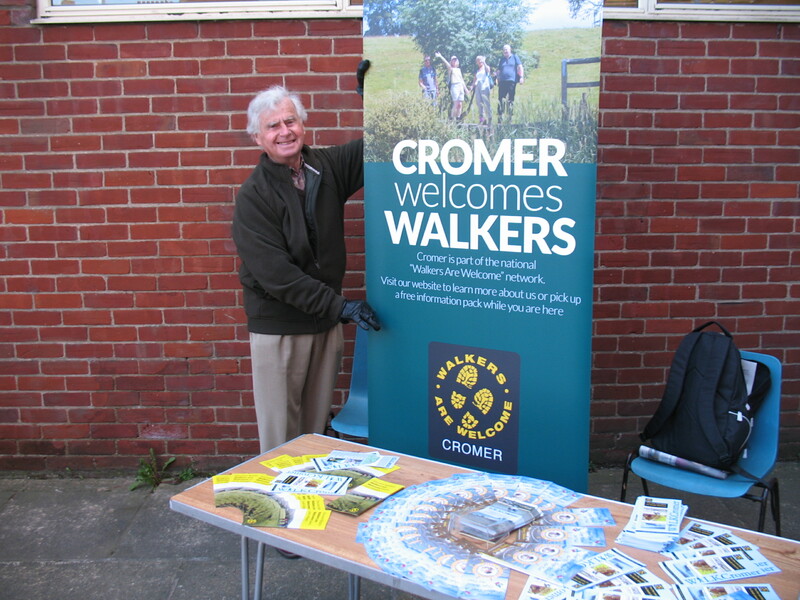 A great opportunity to engage with local walkers, newbie walkers, and visiting walkers from Britain and overseas. Our first Pocket Walk publication is now available. 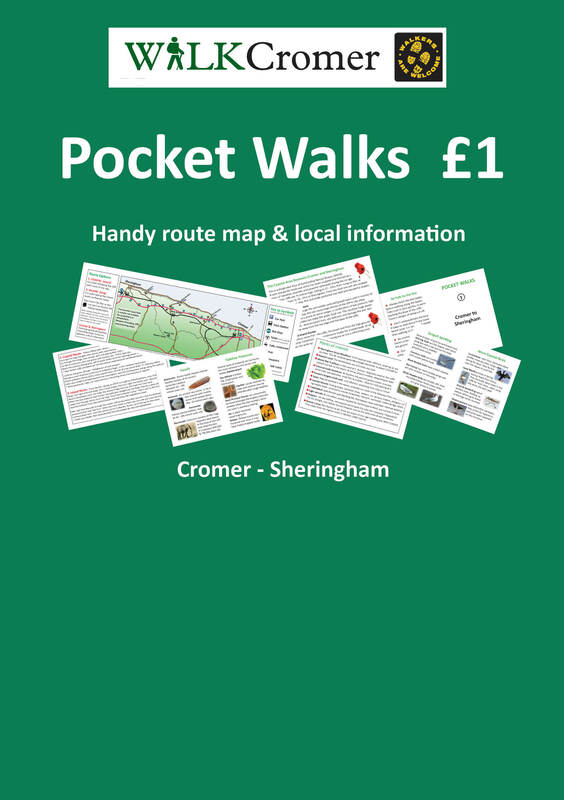 It covers the routes from Cromer To Sheringham and is packed with local information & interesting insights. 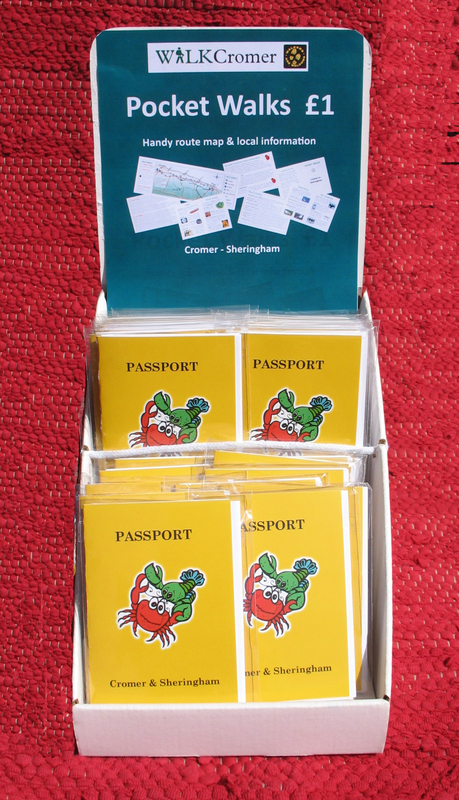 It will be on sale at the Tourist Information Centre on Louden Rd, and will be part of our involvement in this year’s Crab & Lobster Festival on 15-17 May.